Behind The Thrills | Florida SuperCon Announces Great Deals! Florida SuperCon Announces Great Deals! Florida SuperCon Announces Great Deals! Florida is an amazing state. We have the best theme parks, great weather, the best beaches, and the best looking bloggers (especially the writer of this article but we won’t get into that right now). One of the things that Florida really doesn’t get enough praise for is our geek conventions. Sure we have the Central Florida staples like MegaCon and Spooky Empire or Tampa Bay Comic Con, but what about South Florida? Where is the nerdy love for Miami? Florida SuperCon is the only 3 day geek convention where one can meet their favorite stars, buy some amazing stuff from the vendor room, then end the day on South Beach. A major convention staple is its celebrity guests, and Florida SuperCon is no exception. Whovians will be ecstatic when hearing that Billie Piper (who played the companion Rose), Simon Fisher-Becker (Dorium Maldovar), and Paul Mcgann (the Doctor) will be in attendance. If you love the Kevin Smith’s View Askewinverse Jason Mewes, Joey Lauren Adams, Marilyn Ghigliotti and Brian O’Halloran . Voice and animation guests include Charlie Adler, Carlos Alazraqui,Tom Bancroft, Tom Cook and Dana Snyder who with co-host Guy Hutchinson will do a taping of their adult themed Disney podcast “Drunk on Disney”. Stars from Agents of SHEILD, Walking Dead, wrestling, and Once Upon a Time are also slated to appear. Until this Monday fans can save $5 on tickets to Florida Supercon. After May 25, ticket prices will increase. Stay tuned for more fun, and be sure to get social with us on Facebook, and follow along with us on Twitter @BehindThrills for the latest updates! For more information, including tickets, visit the official website by clicking here! 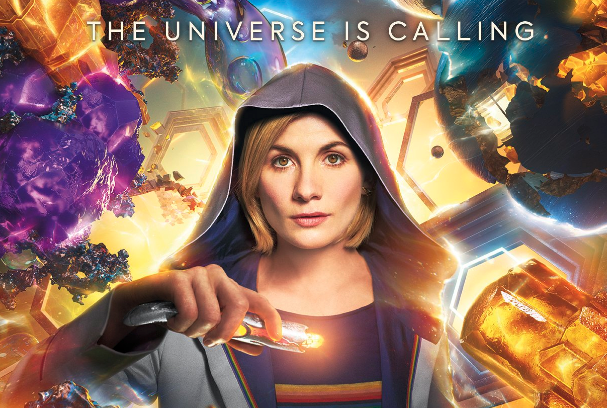 Comic Con: First trailer for Doctor Who Series 11 has arrived!